The standard of questions for the ONLINE (Computer Based) examination will be generally in conformity with the educational standards and/or minimum technical qualifications prescribed for the posts. ☑ Engineering Drawing / Graphics. *You have to prepare basics of all the Engineering branches regardless of your stream. 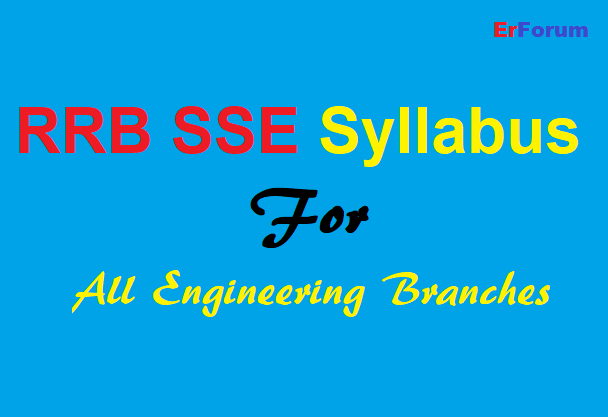 *RRB JE also has the same syllabus but with a slight change. *In RRB JE Xth level science questions are asked, while in RRB SSE XIIth level science questions are asked.